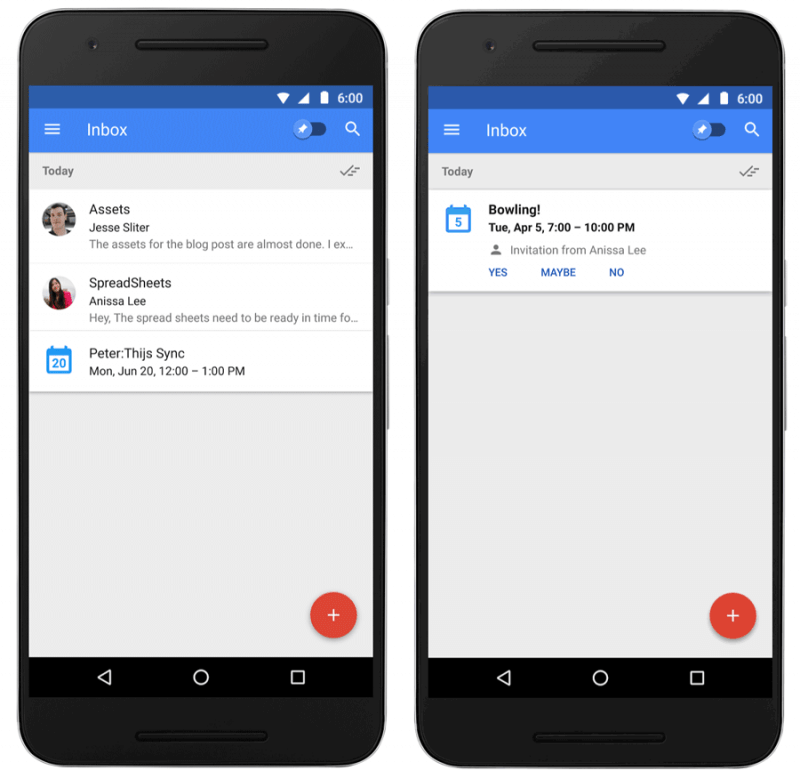 Google has announced that users of Inbox by Gmail will find three new features have been added to both the desktop and mobile versions of the email service. "Starting today, you'll discover three new experiences in Inbox – streamlined events, glanceable newsletters and saved links – that help you better keep track of things that matter to you and feel more in control," Google says. The first and probably the best of these new features is that Inbox now groups all the messages together from a single event. You’ll get a comprehensive overview of any emails that are linked to a calendar event, along with any others that are related, letting you quickly see changes – such as people dropping out – without having to trawl through your inbox. The second feature will let users see previews of newsletters and click through the articles that interest them most. Only popular newsletters are supported right now, but Google will be adding more in the future. Additionally, once you’ve read a newsletter, Inbox will minimize it to save screen space. Finally, Inbox has introduced a ‘save links’ feature aimed at people who email links to themselves so they can read them later. Now, ‘Save to Inbox’ will keep all those links in one place, and you’ll be able to share them with others if you wish. Google also announced some updates to Keep, its note-taking and information collection platform. There’s a new web extension that lets users add all or part of a website to Keep, the ability to add a note while browsing other apps, and the introduction of hashtags as a way of organizing and categorizing notes.